Obituary – Darmer, Remley “Rex” « Perry High School Alumni Association, Inc.
– 18-year-old son of Mr. and Mrs. W. T. Darmer, was born in Perry, November 22, 1922. He attended the Three Sands school, district 30 and district 76. For the past four years he has attended the Perry schools. He is a member of the F.F.A. organization and is interested in basketball and baseball. His hobbies are hunting and amateur mechanics. Mr. Remley “Rex” Darmer, age 95 of Abingdon, passed away peacefully at 5:13 p.m. Wednesday, October 17, 2018 at his home, surrounded by family. He was born November 22, 1922 in Noble County, Oklahoma, the son of W. T. and Rosella (Dattel) Darmer. Rex graduated from Perry High School in Perry Oklahoma and later attended trade school in Enid, Oklahoma. 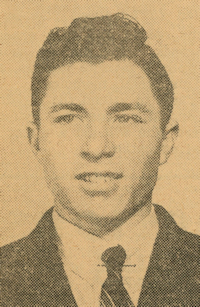 He worked at Mare Island Marine Yard until he went into the Army Air Corps. He then became a Glider Troop Carrier Pilot Sargent. In Kentucky he went into Air Cadet Training to fly in Grove City, Pennsylvania and Galesburg, Illinois. It was in Galesburg, during his training, that he met Donna Landon. On November 2, 1944, the two were married in Amarillo, Texas, while he was training on B-29s. He later flew AT 6 Texans. Donna was the love of his life and through good times and bad times, their love of each other shown like a bright star. When WW II was over, they took up residence in Abingdon. Rex became an employee of Intra State Telephone Company in Galesburg and remained there until 1949. He was then employed by Lovitt Motor Company in Abingdon as the garage manager and salesman. In 1953, he took a position as Lab Technician and Facility Engineer at Gale Products in Galesburg, where he worked for 29 years retiring in 1982. He later worked part-time as a funeral assistant at the Hinchliff-Pearson-West Abingdon Chapel. 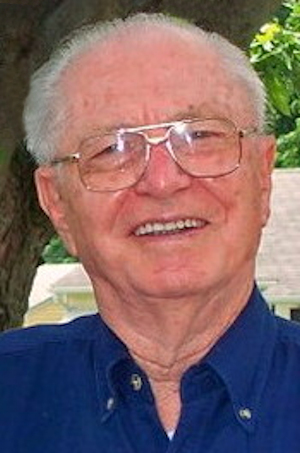 Rex was a very active member of the Abingdon Christian Church for 67 years and was a church Elder and Elder Emeritus. He thoroughly loved his years of service as property chairman of the church. He served on the Abingdon City Council and the Abingdon School Board. He was a member of Harry E. Wiles American Legion Post #381. Rex loved fixing many things, from outboard motors to lawn mowers, and helping people. He could fix anything and sometimes was very innovative. His devotion to Donna and family was always the guiding light in his life. Donna preceded him in death on January 12, 2013. He was also preceded in death by his parents, two grandsons, Brandon and Chad, a daughter-in-law, Carol, a special brother-in-law, Paul Way and a very special nephew, Noel Moore. Rex is survived by his four sons, Stephen R. Darmer of Waddell, Arizona, William R. (and May) Darmer of Italy, Richard C. (and Vickie) Darmer of Belleville and David R. (and Michelle) Darmer of Abingdon; 8 grandchildren, 14 great-grandchildren and 1 great-great-grandchild; a sister, Phyllis Landrum of Shawnee, Oklahoma; and a very special sister-in-law, Sharon Way of Abingdon. He was also blessed when Starr Stickell came into his life as his caretaker and friend. She became a part of the Darmer family through her love and devotion to Rex. Cremation will be accorded. A celebration of life service will be held at 10:30 a.m. Saturday, December 8, 2018 at the Abingdon Christian Church. Military rites will be conducted by the Harry E. Wiles American Legion Post #381. The family will receive friends at a luncheon in the church fellowship area following the service. Hinchliff-Pearson-West Funeral Directors and Cremation Services Abingdon Chapel is in charge of arrangements. Memorials may be made to the Abingdon Christian Church, OSF Hospice or the Ageless Aviation Dreams Foundation.